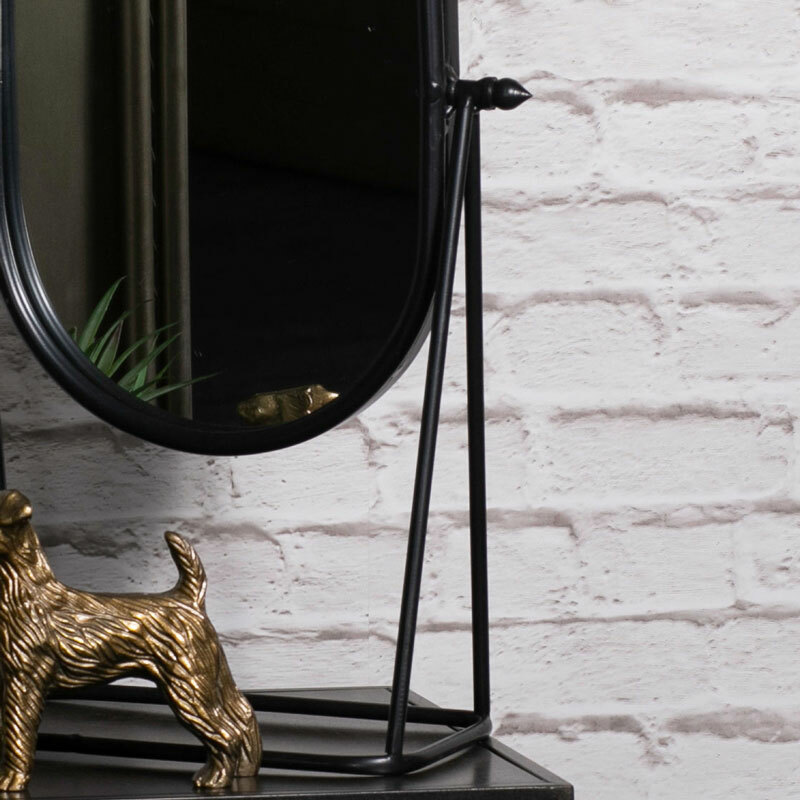 This vanity mirror will bring some understated charm to a bathroom or bedroom. Crafted from metal in a tabletop, swing style, this is ideal for use as a makeup or shaving mirror. A great look for a rustic, industrial styled home decor. Painted in black with the oval shaped mirror held in a simple frame, the mirror can be adjusted to get the perfect angle. A great gift idea for both ladies and gentlemen. This vanity mirror will bring some understated charm to a bathroom or bedroom. Crafted from metal in a tabletop, swing style, this is ideal for use as a makeup or shaving mirror. A great look for a rustic, industrial styled home decor. 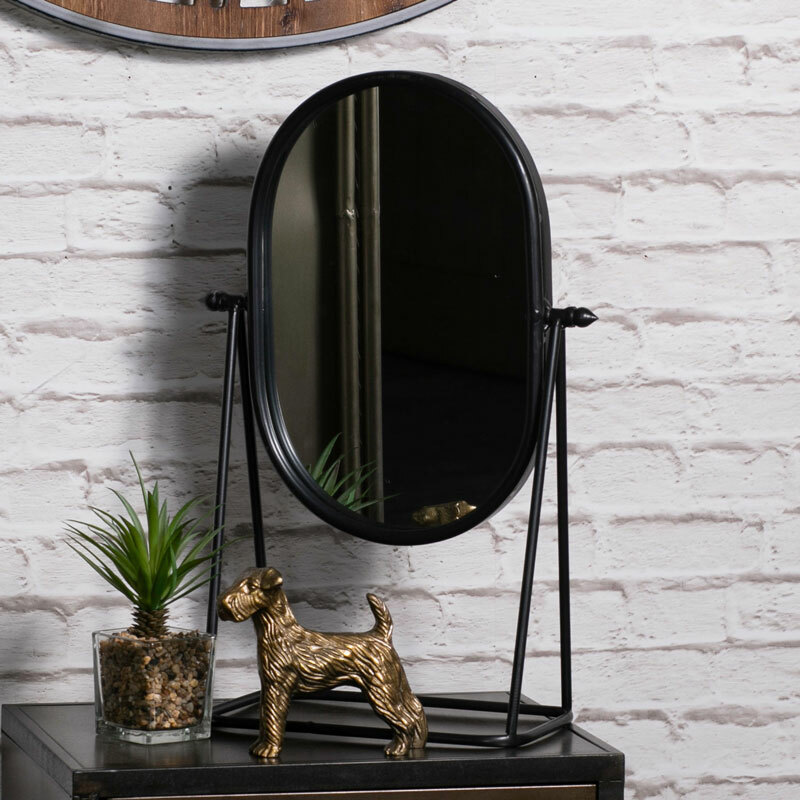 Painted in black with the oval shaped mirror held in a simple frame, the mirror can be adjusted to get the perfect angle. A great gift idea for both ladies and gentlemen. Constructed with a sturdy metal frame in a black painted finish. The mirror sits in the frame and can be angled to suit.